Powersmile® All Natural Toothpaste features an exclusive blend of natural polishers and stain-fighting botanicals, including Bamboo Powder, Calcium Carbonate, Sodium Bicarbonate (Baking Soda) and Silica, to help prevent tartar build-up while gently whitening and brightening your smile. Natural Grapefruit Seed and Perilla Seed Extracts help fight damaging sugar acids while Natural Peppermint Oil powerfully freshens your breath. 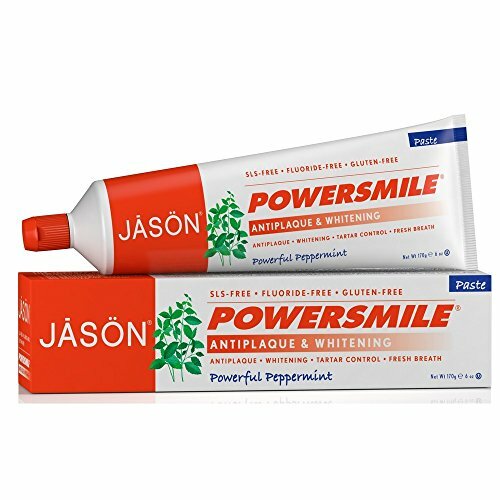 For a brilliantly white smile and fresh breath, use JASON® Powersmile® toothpaste and mouthwash twice a day. If you have any questions about this product by Jason Natural Cosmetics, contact us by completing and submitting the form below. If you are looking for a specif part number, please include it with your message.